Despite its location in the heart of Europe, Liechtenstein is not a member of the European Union. However, the wealthy micro-state enjoys close ties with its European neighbours through a number of other supra-national agreements and bodies. In this blog, we will explore these different agreements and what it means for doing business in and with Liechtenstein. 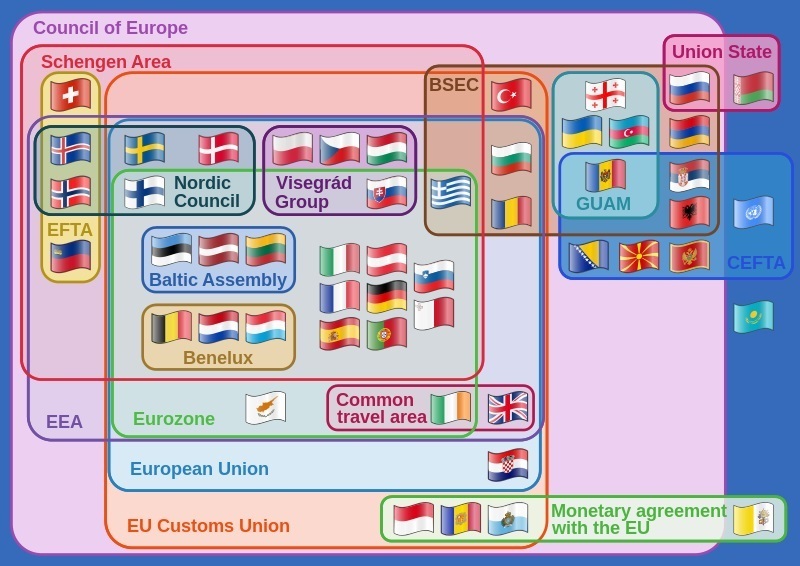 The relationship between the EU and EFTA (minus Switzerland) is managed through the European Economic Area. This means that Liechtenstein, along with Norway and Iceland, is part of the European single market despite being separate from the EU. As a result, transfers of goods and services across Liechtenstein’s borders with the EEA are simple and inexpensive like intra-EU transactions. 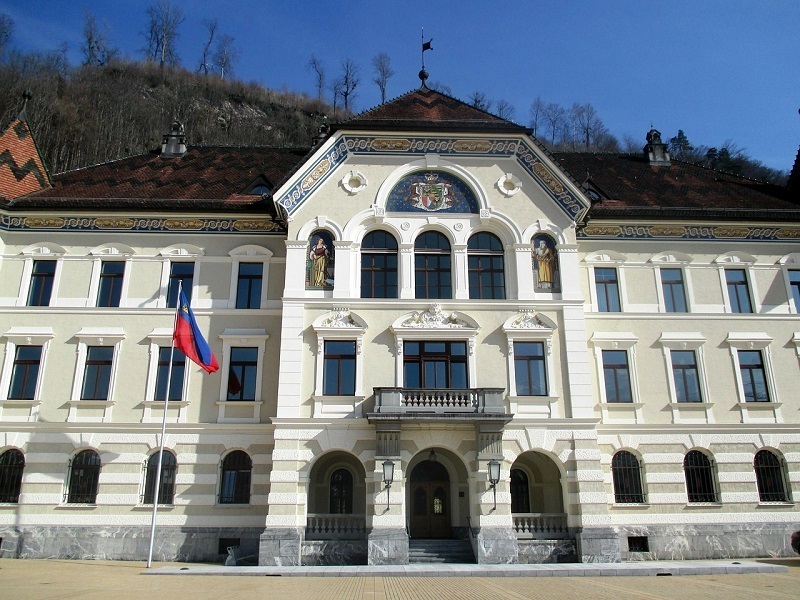 As part of its accession to the EEA, Liechtenstein joined the Schengen Area. The Schengen countries allow the free movement of people of any nationality across their borders for periods of up to 90 days per six months. This means that anyone can travel from another Schengen country to Liechtenstein for up to 90 days without the need for a separate visa. The Principality does not issue its own visas, so we recommend obtaining a Schengen visa from a neighbouring country like Austria or Switzerland before visiting. Is Liechtenstein a good place to start a European business? As a member of the EEA, Liechtenstein benefits from low barriers to trading goods and services with the EU. Not being part of the EU, it is also free from EU controls on its tax rates. This means that it’s corporate tax is only 12.5% and it’s VAT rate only 8%. However, since Liechtenstein is not part of the EU it is not part of the VAT Information Exchange System (VIES). This increases the complexity of charging VAT in business-to-business transactions, as trade with EU businesses may not be zero-rated in the same way that it can from one EU company to another. Visit our page on EU directives for more information on the operation of VAT in the EU. There are also practical reasons against setting up a commercial company in Liechtenstein as a base for your European operations. Chief among these is the limited population from which to draw workers (Liechtenstein has fewer than 40,000 residents), and this scarcity coupled with their good education and high skill levels means that employing staff in Liechtenstein is expensive. Staff from neighbouring countries may be hired, but they require cross-border commute permits and will come from similarly high-earning nations like Switzerland and Austria. International transport is also somewhat lacking, as the Principality has no airport. Furthermore, prior approval must be gained from Liechtenstein’s government before starting a business, and the company’s managing director must speak German. Unless direct access to the Liechtenstein market is important to your business, there are likely to be better options for European jurisdictions in which to set up a commercial company. We recommend companies in Ireland and the UK for your European headquarters, and Luxembourg is a great jurisdiction for holding companies. Why might you set up a legal entity in Liechtenstein? Although Liechtenstein may not be the best place in Europe for a commercial company, it has a great set of rules around trusts, foundations and other wealth management vehicles. Foundations are popular for managing a family’s wealth for future generations due to the abolishment of inheritance and gift taxes. Instead, capital contributions upon formation are taxed at 0.2%. The “establishment” is another tax-efficient vehicle used to hold or invest in assets. We have a comparison of different kinds of entities in Liechtenstein on our website, so follow the link to learn more about foundations, establishments and commercial companies. « Why Purchase UK Real Estate through a Jersey Entity?